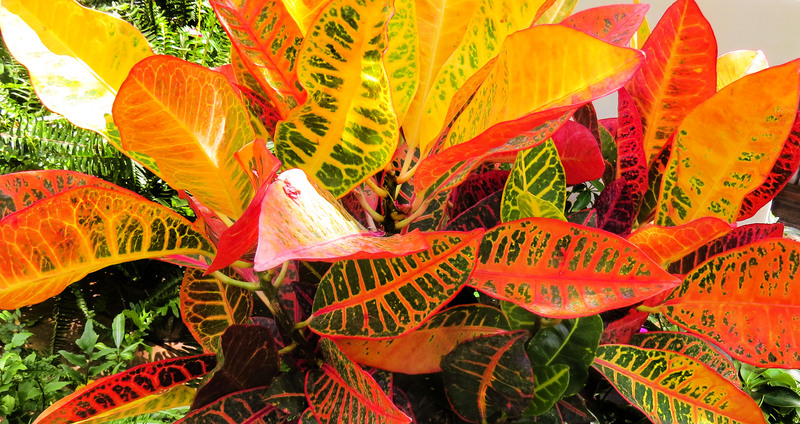 Houseplants are a great way to bring vibrancy and color into your home. They can also enhance your quality of life. Plants naturally absorb carbon dioxide and expel oxygen through photosynthesis. During this process they also remove toxins from the air, including volatile organic compounds (VOCs) like formaldehyde and benzene. In the winter months, when you keep your home sealed, houseplants are essential for keeping the air clean. 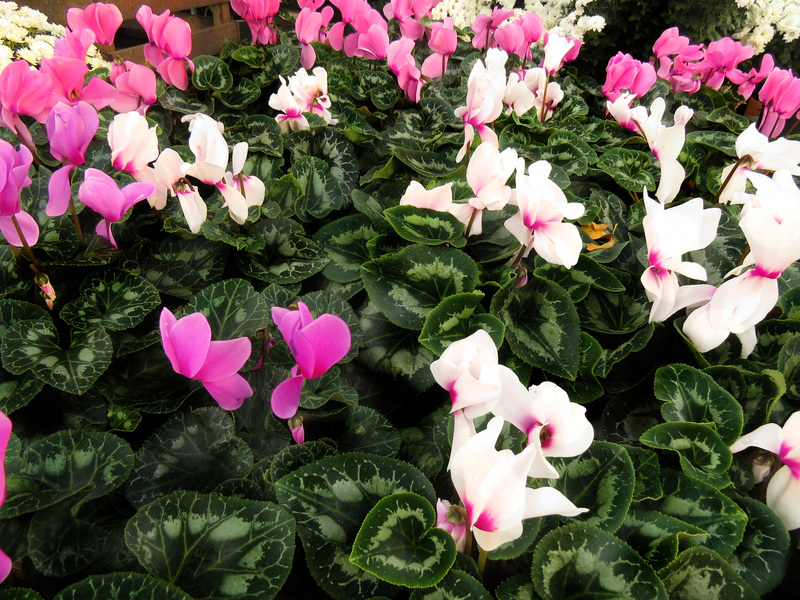 Despite their name, houseplants have many applications outside of your home. Studies have shown that adding plants to your office space can decrease headaches, colds, and overall fatigue. They have also found that by adding plants to a classroom you can help improve attendance and concentration. Every type of houseplant is different. They all have different light and water requirements and help purify their environment in different ways. Keep this in mind when selecting your perfect plant. A lot of people tell us they always kill their plants. They come to us looking for something low-maintenance. 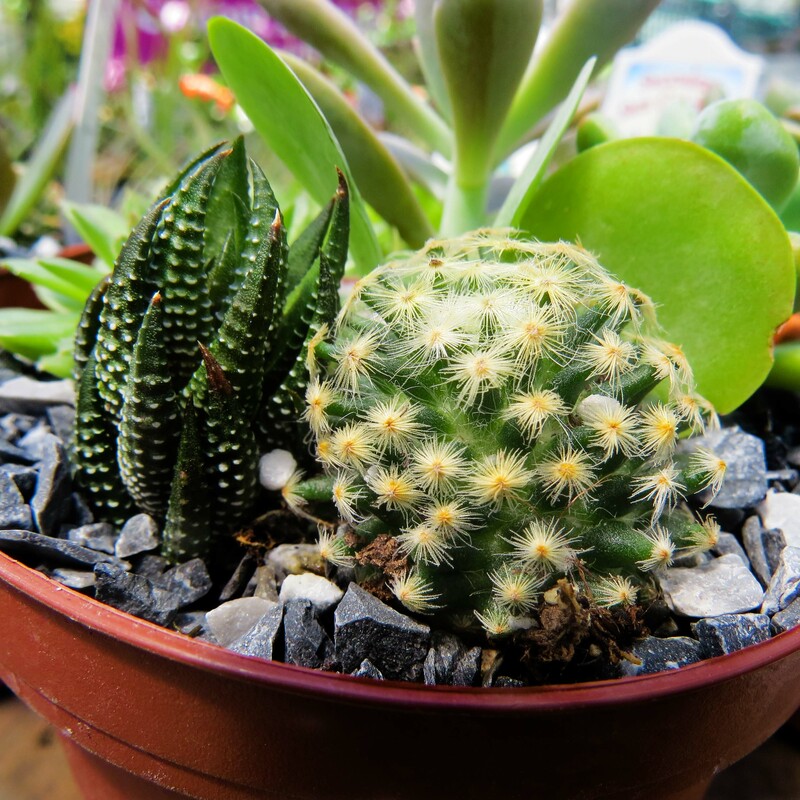 If you're afraid of killing a plant or just want an easy way to brighten up your home, cacti and succulents are the answer. They naturally thrive in dry environments so all they need is some sunlight and water (about once every other week). 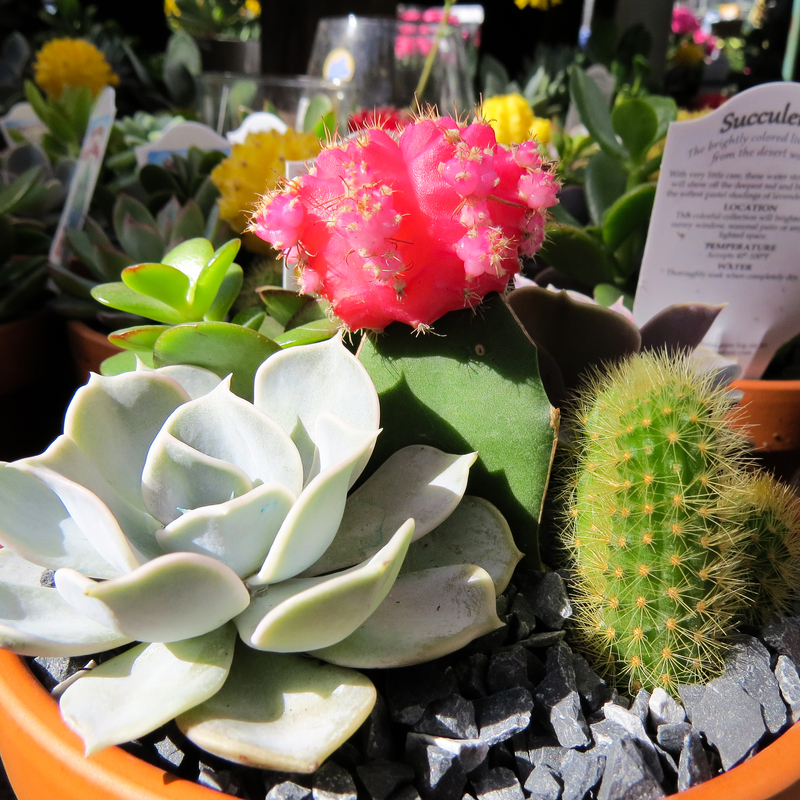 Our cactus selection ranges in size from small, individual plants to large arrangements. We carry different styles and flower colors and can also make a custom arrangement for you, per your request. 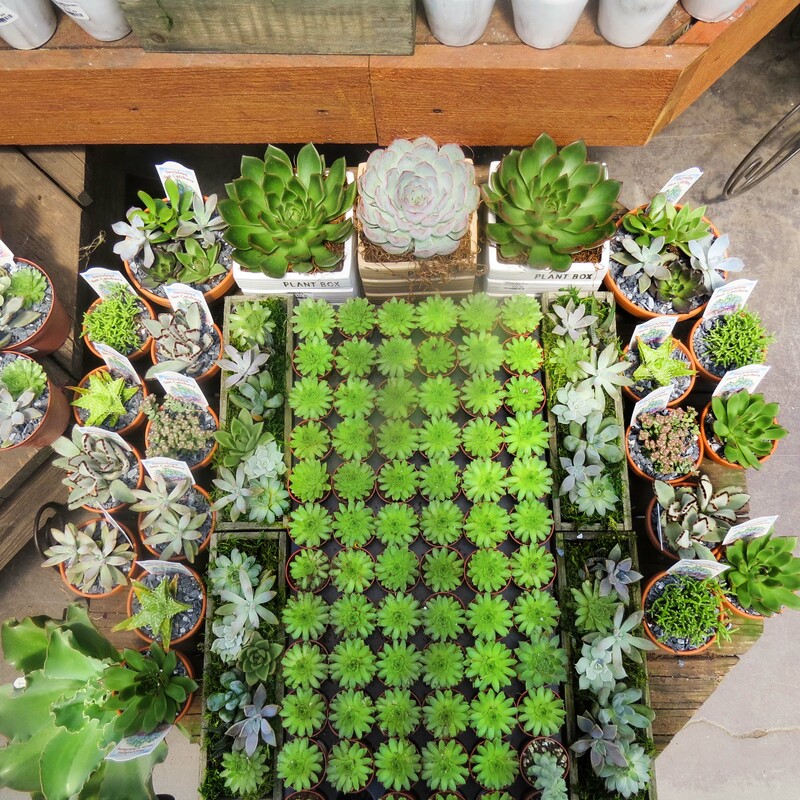 Succulents are another great way to add plant life to your living space. They're just as easy to take care of as a cactus but without the needles, making them ideal for people with small children or pets. Some succulents have medicinal properties as well. 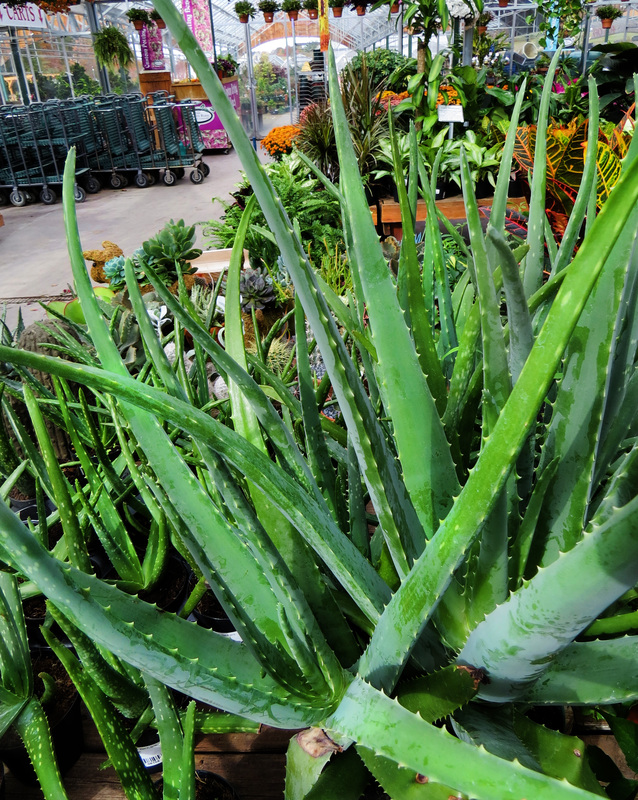 For example, the sap of an aloe plant can help treat burns and skin abrasions. 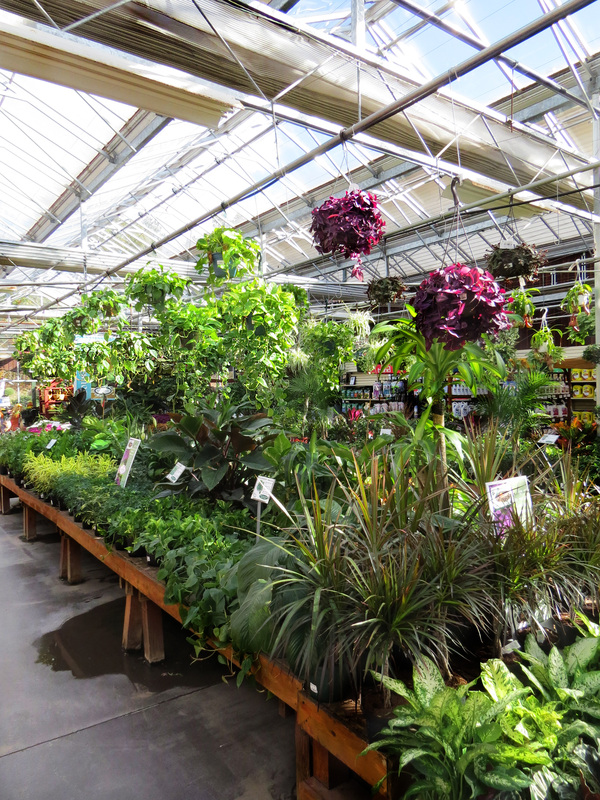 Depending on your particular light and maintenance requirements, our staff can help you select the right houseplant. 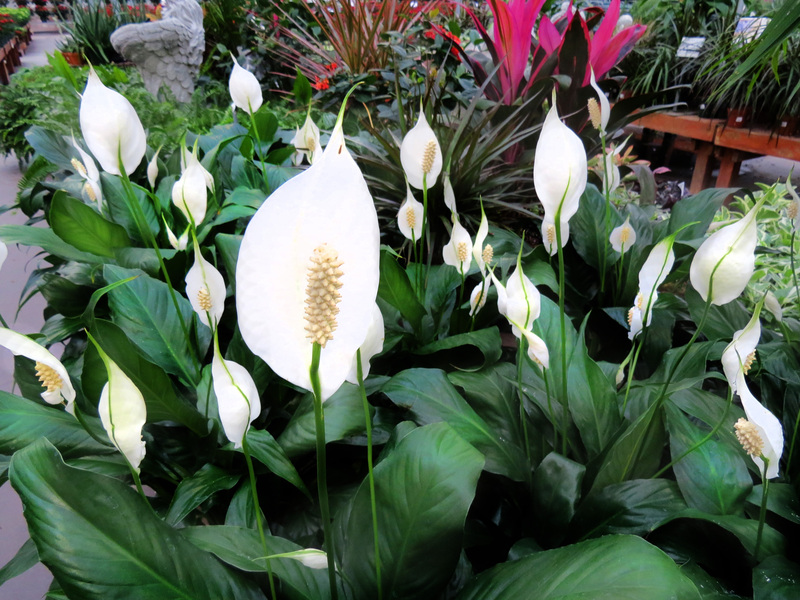 Certain plants such as spathiphyllum and Snake Plants can do well in rooms with very little light, and others can withstand drought better than others. Many people are concerned what plants are toxic to children, cats, or dogs. Just ask an associate what conditions you have in your home and we'll be happy to help you choose a plant that will be successful! 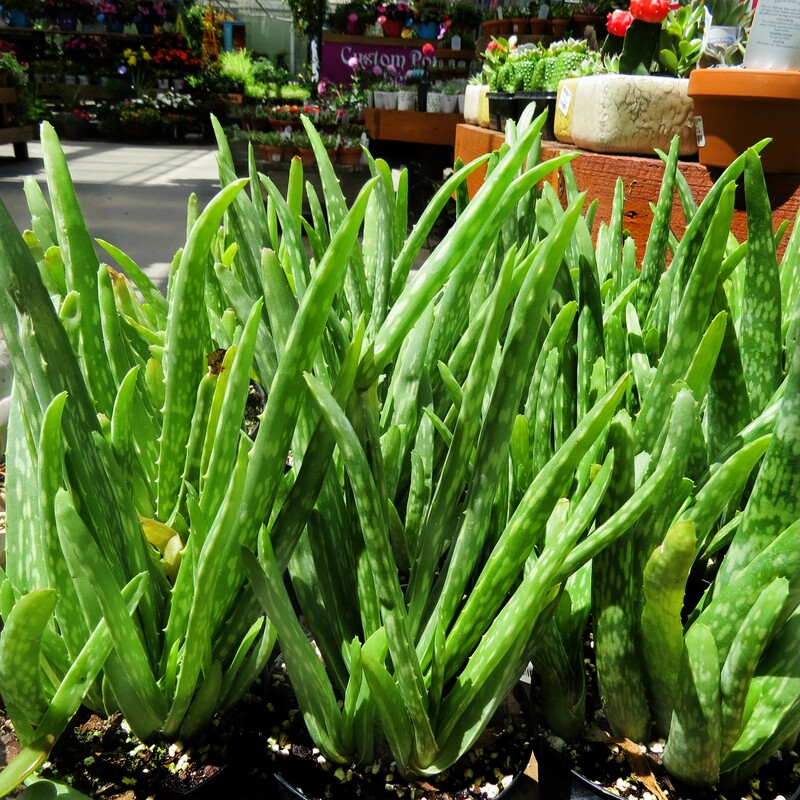 For the prices and availability of our houseplants, cacti, and succulents, please call us at 860-872-7291, or stop by the store for our full selection. 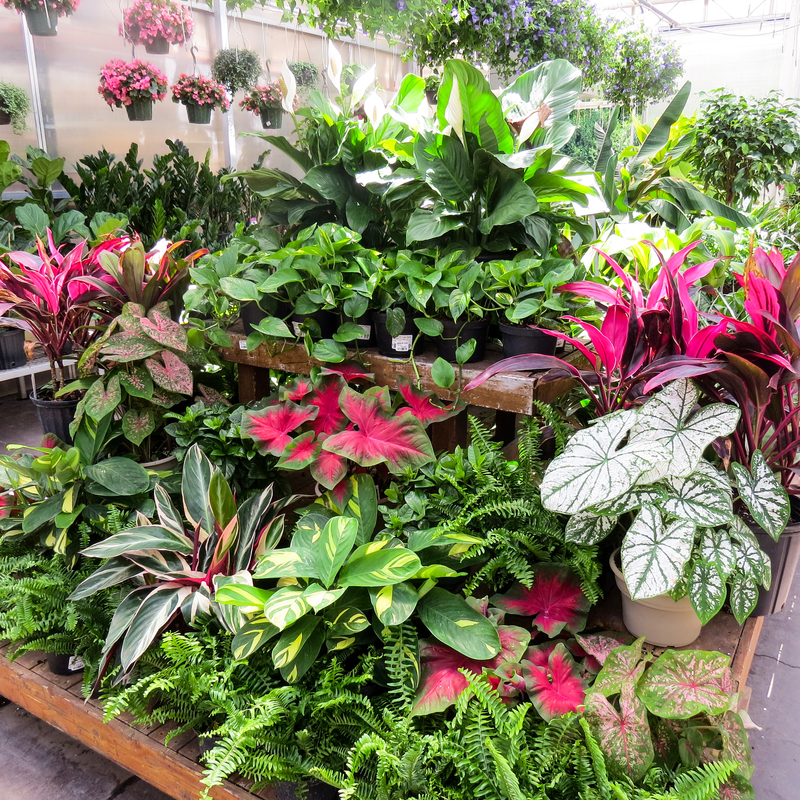 Learn about the benefits of houseplants here. Here's a list of toxic and non-toxic houseplants. Please Note: The plant varieties listed on this website do not indicate current availability at The Garden Barn.